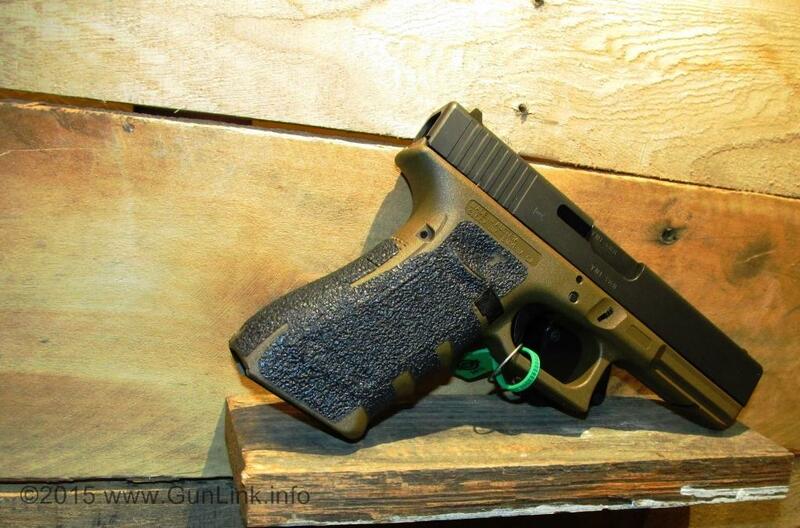 TALON Grips Inc. launched a redesign of its Made in the USA Glock grips this week at SHOT Show in Las Vegas. According to the release, technological advances are partially responsible for TALON‘s ability to create more complex and thorough grip designs, making them “the most innovative and functional adhesive grips on the market.” Earlier die cutting techniques have given way to more advanced capabilities which allows the design team to increase coverage of the factory Glock grip. This redesign results in a new TALON grip that entirely encompasses the frame from the magazine well to the top of the thumb rest, increasing the textured, higher friction surface area available to the user. The company says that the grips will still be universal among full size Glock pistols – fitting all generations and backstrap configurations. The grips will be available in black rubber as well as both black and pink granulate textures. 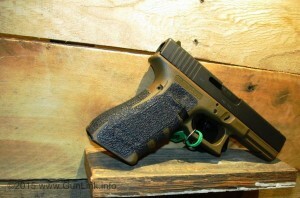 GunLink staff had the opportunity to try out TALON’s new Glock grips at SHOT Show with favorable results. While previous models allowed improved ability to grip the firearm versus the stock frame, especially on earlier generations, the redesigned product improves that ability further with more precisely shaped grips and increased coverage area. TALON personnel at SHOT told us that the previous version of the grips were being phased out completely. Existing stock will be sold, but all new production is focused on the improved version.